The programme is aimed at selecting and training aspiring pilots with little or no flying experience through to a position where they can become a first officer on the carrier’s fleet of airliners. Successful applicants will start their training in late summer/autumn 2013, with graduation due to take place in early 2015. Speaking about the launch, BA’s Manager of Pilot Recruitment, Lindsay Craig, explained, “The financial demand of training, as well as the challenge of securing that first flying job, are discouraging some very able people from getting involved in aviation at the outset. This initiative from BA gives people a chance to show their skills and abilities, and to secure a place on a programme that leads to a first officer’s position at British Airways. 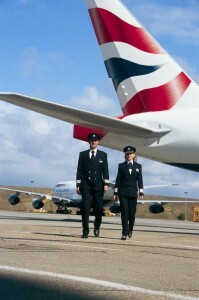 The successful applicants will be given the choice of carrying out their training with one of three Flight Training Organisations (FTOs): CTC Aviation, CAE Oxford Aviation Academy or FTEJerez – with Airline Placement Ltd (APL), a subsidiary of the CTC Group, selected to manage the scheme on behalf of BA. Cpt Lee Woodward, CTC Aviation’s Business Development Director, commented, “The FPP is a reflection on the training needs of British Airways. They stipulated last year that they need 800 new pilots over the next five years, with around half coming from cadets and the rest from the military and other airlines. This is a clear sign of intent from one of the world’s leading carriers and a wonderful opportunity for applicants to get a chance of the best training available towards a career as an airline pilot. It’s also an initiative that, once again, CTC Aviation is very pleased and proud to be involved with. When it comes to finance for the FPP, BA and APL are working together to offer a unique scheme that will cover sponsorship for the flight training, jet orientation course and type rating. This will require successful applicants to deposit an £84,000 bond with APL, which will be repaid once a cadet has successfully completed the training and taken on a position as first officer with BA. The security bond is repaid in equal monthly instalments over your first seven years of employment, all in addition to your remuneration package. Should an applicant not be able to raise the security bond, they could be eligible for the British Airways guaranteed loan scheme where BA would act as a loan guarantor, borrow the money from its partner bank and deposit the required security loan with APL. Interest will be charged on the loan, but a 24-month holiday period will be available before any loan repayments have to start. With a number of leading figures in commercial aviation, including Boeing and Airbus, predicting a massive shortfall in suitably qualified pilots over the next 10-15 years, it appears that we could be on the cusp of a golden age of professional flight training. Certainly schemes such as the Future Pilot Programme will begin to help deal with this situation. However, until high street banks are encouraged to help fund this essential business sector, it will inevitably be left for tomorrow’s pilots to rely increasingly on the bank of mum and dad to secure their training places. The best advice therefore is to make the absolute most of the opportunities that do come along, with British Airways leading the way.